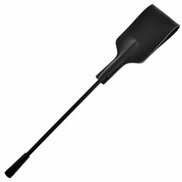 Deliver gentle strokes and smarting smacks with the Bondara Nubuck Leather Slim Slapper Riding Crop. Featuring a split tip, every spank is intensified for extra sting, while the slim design inflicts sharper, more concentrated hits. 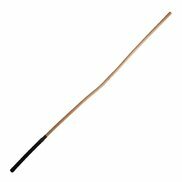 Perfect for when your submissive playmate needs reminding of their servitude, this crop will leave lasting marks on their skin. Made from nubuck leather, the handle is textured for extra grip and the wrist loop ensures you’re always in complete control.